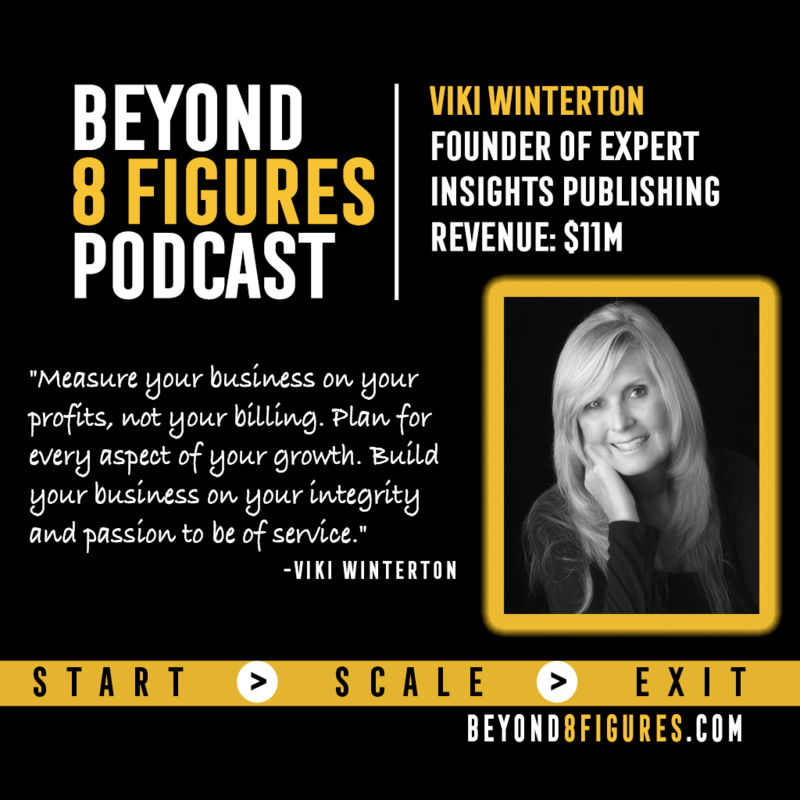 Viki Winterton talks about holding fast to your integrity and your bliss in building and growing your businesses and never loosing yourself in the process. -How modelling lead to creating her business and how she got started, scaled, then exited it. -How acquiring and growing extremely quickly changed the culture and environment of the business. -Profitability is key in several industries, but know your industry and how the metrics are measured in your industry. -Diversifying to increase profitability and effectiveness. -Measure your business on your profits, not your billing. Plan for every aspect of your growth. -Build your business on your integrity and passion to be of service. -The people you bring on, whether through hiring or acquisition, can change the environment of your business. -Look at the essence of your bliss and do that. What is at the heart of what you love, not the surface at what you love. About Viki: Viki Winterton is Founder of Expert Insights Publishing, home of best-selling and award winning books and magazines, where visionaries and those on the rise come together to create immediate impact. Expert Insights Publishing is built on the solid foundation of over 30 years of expertise in promotion, publishing, product development, networking, and success. Fortune 100 companies and individuals across the globe know Viki for fostering powerful and loyal relationships and supporting her communities in wildly creative, unique, and wonderful ways. Viki is also a multiple #1 International Best-Selling Author and Award-Winning Publisher, founder of Bestselling Authors International Organization, The EIPPY Book Awards, Write Now! broadcast and Write Away, Write Now!, the global community where writers find everything they need at each stage of their journey!